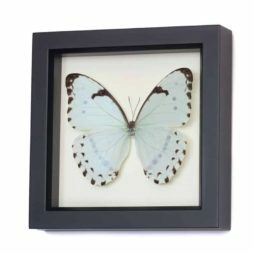 Of the 80 known Morpho species, this is one of the three extremely pale species, which are called the “white” morphos. 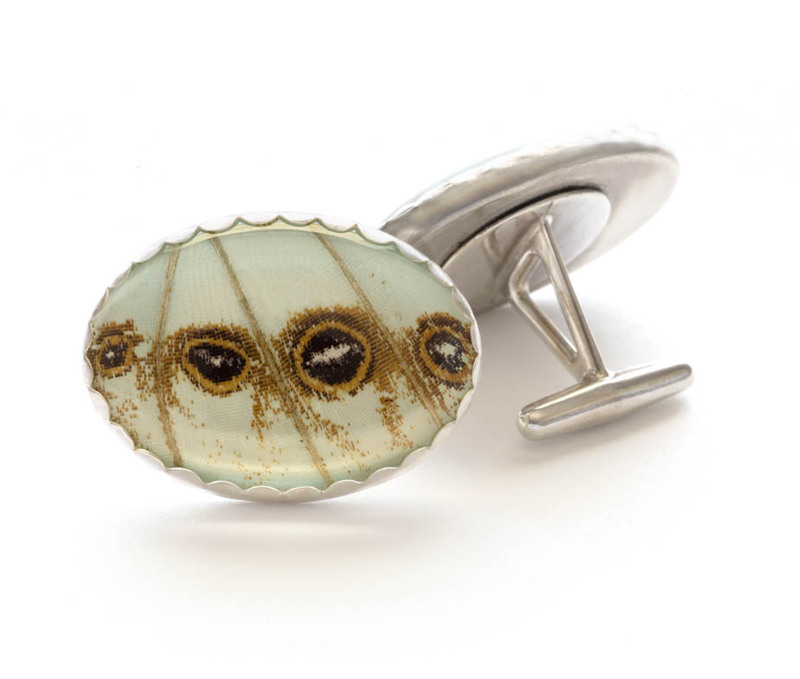 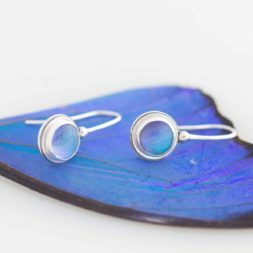 These sterling silver cuff links have a piece of its iridescent wing encased in glass and sterling silver. 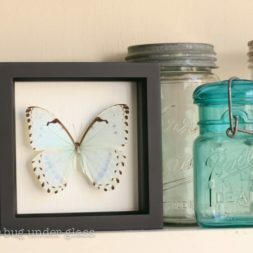 Handmade in Petaluma California by an entomologist. 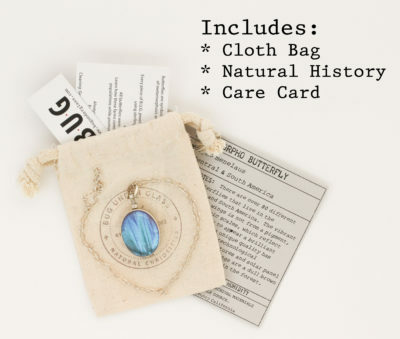 Includes natural history information about the Blue Morpho butterfly and a cloth container bag. 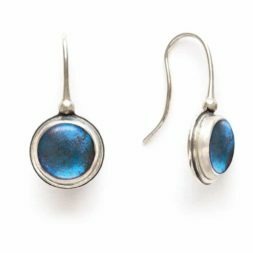 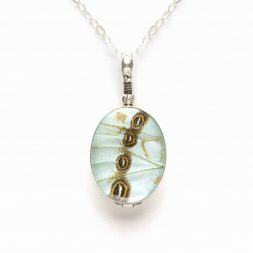 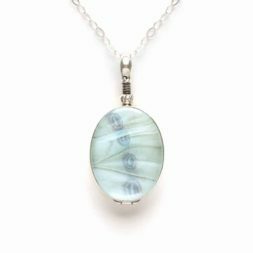 Sterling silver, rounded glass, farm raised mint morpho wing. This ethereal looking specimen is one of the three extremely pale species of Morpho butterflies.